We have been in the Limo and Nightlife business for over 15 years. 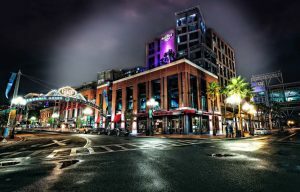 Private transportation, Limousines, and Party Buses are deeply connected with Nightclubs and Nightlife in San Diego. San Diego Nightclub Limousine Bus Rental Services not only provides you with the transportation options your looking for but also guest list passes and Discount Club Packages throughout San Diego County. 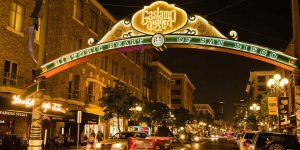 Whether your heading Downtown Gaslamp Quarter, to the beach, or North County, we have you covered. Get added to the Guest Lists at The Best San Diego Nightclubs. And for Discount Tickets, VIP Passes and Bottle Service be sure to use Promo Code "NOCTURNALSD". We guarantee you will have an amazing time with any vehicle we set you up with at The Lowest Limo Discount Rates in San Diego. Whether you're heading out for a Birthday Celebration, Bachelor Party, Bachelorette Party, or just regular weekend fun, San Diego Nightclub Limo Rentals is your #1 choice for luxury transportation. Choose from a variety makes, models, sizes, and colors up to 20 passengers to take you anywhere in San Diego County. You can bar hop, club hop, or just say in one place. Either way, you covered for your ride and entry. Visit NocturnalSD.com and don't forget to use Promo Code "NOCTURNALSD" for non guest list reservations. 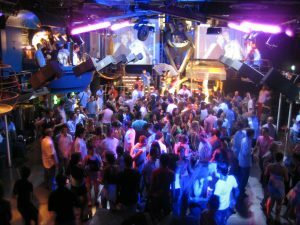 Our client's book San Diego Nightclub Bus Rentals and Party Bus Rentals on a regular basis. When you split the cost among friends, it can be cheaper than an Uber or Lyft, and a lot more fun. Never worry about parking fees and who is going to be the Designated Driver for the night. Get dropped off right at the front of the club and return home safely. Don't forget to get your Free San Diego Club Guest List Passes, Discount Tickets and Discount VIP Bottle Table Services at NocturnalSD.com and use Promo Code "NOCTURNALSD". Just ask any of our amazing sales representatives for further information. We have perfected the way we price out Limo Transportation Services in San Diego. San Diego Nightclub Limousine Bus Rental Services Pricing can easily be determined using our internal software with prices that have been intricately negotiated with multiple Limo Companies throughout San Diego. All Limousines, Sedans, and Buses are available with Point to Point Rates, One Way Transfers, Hourly Service Rates, and Hybrid Pricing.